No Blush Blush restores the color and radiance of youthful cheeks while addressing compromised architecture of cheekbones with DMAE. 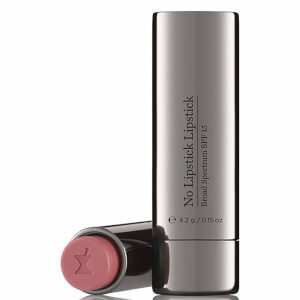 A universally flattering youthful rosy glow in a self-adjusting shade, it simulates the flush of youth. Suitable for all skin type and skin tones. Simulates the flush of youth. Personalize color with No Bronzer Bronzer. Apply one to three dots on the ball of the cheeks and gently pat while blending in a lifting, upward motion towards the hairline. Can be mixed with No Bronzer Bronzer to customize color. I go for the natural look. I use this over my tinted sunscreen. You must shake due to a slight separation, then I place a small line on my upper cheek and blend while my sunscreen is still moist. Gives a nice hint of color. 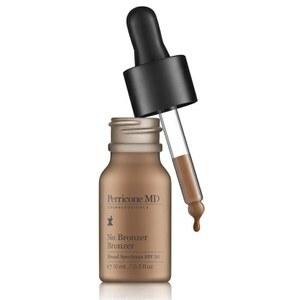 My complexion is light with red undertones and this color blends nicely. My GF used it and she is of olive complexion and it looked nice on her skin tone as well. Only problem I had was they sent me a bottle that was already expired. Very disappointing results. The blush looks very fake and is difficult to blend. I don't usually write reviews but I've been looking for a blush that looks very natural yet gives great color. I don't like the makeup powdery caked on look. 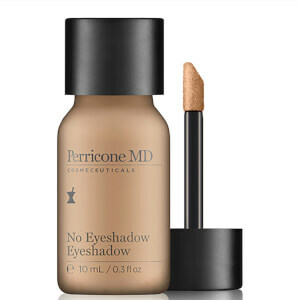 I want layering and definition without looking like I piled it on and this does the trick. I bought this a few months ago and tried it on myself I'm mixed so I have a tawny golden complexion and it looked wonderful. My mother is a red head and very fair and she wanted to see what it was like and loved it also. I just used less of the product just a dab and she looked beautiful just a really healthy glow. For myself I let it dry and then put another layer on and it looked so lovely like I walked outside and had a natural flush. With our skin colors being at the oppisite ends of the spectrum it's very rare to find something that worked for both of us. I'm really excited and believe me a little goes a long way. So if you want something that feels great and looks beautiful try it out!